Marina Fokidis: Another biennial? I remember a cartoon about fifteen years ago in which one man was saying to another that he was very worried about his small town, as it did yet not have its own biennial. So there’s been criticism for some time about the proliferation of biennials around the globe. Yet the biennial as an institution for the promotion of contemporary art continues to thrive. What is your take on this? Marieke van Hal: I think you’re referring to a cartoon from 1999 by the artist Olav Westphalen. It reflected the thinking at the time after a wave of new biennials in the 1990s. I always wondered why this type of critique never occurred in the museum world. No one asked “Another museum?” Fortunately, we have moved on in the debate. The need for encouragement, critical discourse and disagreement about the biennial as a rapidly expanding institution is self-evident. The process of biennialisation is a process of transforming how and where contemporary art is produced, presented and viewed through the format of the biennial and its many locations. One could argue that the biennial has contributed to the subversion of the former division between a centre and periphery of civilisations and has challenged the Western illusion of supremacy in the field of artistic creation and institutional representation. The ubiquitous biennial has imagined and continues to imagine a rightly global world of art. As more biennials enter the international arena, we should try to look beyond the façades of spectacle and see how biennials operate as contexts for questioning and testing forms of praxis available through art. Galit Eilat: In the cartoon, I think it was the mayor of the town bemoaning the lack of a biennial, which is maybe more telling than if it had been an inhabitant. I am not sure how many small-town citizens would feel the same. Nevertheless, biennials have a number of potential functions, and it is our job as curators to focus on certain aspects of them. Today we see two main tendencies of biennials – one is to more or less imitate the museum, using its methodologies of exhibition, but with time-limited research. The other is to follow the art-fair model, serving the market and the growing field of collectors. Neither of these approaches aims to investigate or answer the questions of what a biennial is – and more importantly what a biennial is today – and whom the biennial is for. I think these questions need to be asked first, even before questions about the local context and the biennial’s own history. From the cartoon mayor’s point of view, of course, a biennial helps brand a city as a neoliberal global player. Or, at the very least, it can help to strengthen the real-estate market. So there is no doubt that he should be worried that there is no biennial in his city, as he is in danger of being left behind. From a less cynical perspective, it could be said that historically many biennials have helped to create new artistic structures and institutions in their locations and have been crucial for introducing ideas about art to a wide public. This is still true, although nowadays, of course, there are so many other ways to access contemporary art. Each case has to be considered individually. There is not one magic formula and no single successful model. For me, a biennial (or any other institution) needs to take a critical approach that manifests itself through its activities. MF: “Too many biennials in locations they should not be; too many biennials in locations they should be.” How attached should a biennial be to its location? I’m not talking so much in terms of ethnography, traditions and folk culture but rather in terms of environment and geopolitics. Are the content of the exhibitions and the setting almost interdependent? Should a biennial be conceived, organised and contextualised according to the environment in which it takes place? Or should it maintain independency as an institution and deal with global affairs in contemporary culture, regardless of its location? MF: ‘The South’ as a tag can be used in many different ways, for many different purposes, not necessarily all bad. There are ideas that can unify Souths beyond geographical borders. Very elusively, the climate, the perfect climate, for example. The heat, outdoors living and its side effects: sensual communication, procrastination or idleness (as a resistance to consumer-driven society, perhaps), chaos, ‘corruption’ and other southern mythologies can formulate the new notions under which people can re-unify for the better, not necessarily for the worse. As part of a fictional exercise, what if all the above qualities were virtues instead of shortcomings? What if they were the platforms upon which a soft resistance could be built against the so-called ‘Western capitalist society’ model? Marieke van Hal: The Biennial Foundation was initiated in the South, in Athens, as you know. Galit Eilat: The South could be relative to where one is, geographically or mentally. Since the South is defined by the location you are in, it can be a place for a projection of different thoughts. The ‘global South’ refers to the socially and economically weaker developed half of the globe, which more or less coincides with the post-colonial world or the notion of the old ‘Third World’ (i.e. when we had a second one). It is considered to be missing appropriate technology and to have no political or economical stability. These notions now apply to certain states in southern Europe as well as to much of the rest of the world. The nations of Africa, Central and Latin America and most of Asia face great challenges and offer real opportunities. Political, social and economic upheaval are prevalent in many of these nations; at the same time, the populations of the global South and their emerging markets offer immense hopes for economic growth, investment and cultural contribution. Without romanticising, if we see any ‘soft resistance’ to the status quo today, we see it in the South. We could look at Brazil since June 2013, at Turkey and Greece last summer and today at Hong Kong where people are fighting against neo-feudalism, against a pseudo-democratic dictatorial model and where state corruption and private cartels go hand in hand, controlling not only the economic market but also the juridical system. I’m not sure any of this has anything to do fundamentally with climate – or even with modernism. We are living in a time when climate change is upon us and when the concept of modernity no longer carries much force. MF: We think that this magazine is a place of encounter where people from different real and metaphorical Souths can re-­negotiate the term; it’s a platform of shared intensities. How does the World Biennial Forum 2 relate to that? What do you expect from this meeting? It is the second time the forum has been held in the South. Is this of any significance? How can the southern state of mind facilitate a network? Marieke van Hal: It is interesting that you think of Gwangju [where the first World Biennial Forum was held] as southern, as I always considered it more as eastern. In a globalised world, I guess there’s no such thing as south or east anymore. The World Biennial Forum 1 was entitled Shifting Gravity, and its curators Hou Hanru and Ute Meta Bauer focused on Asia as its context and continent. Now we are collaborating with the São Paulo Biennale as the hosting partner for the second forum. This is thanks to Daniel Rangel, the artistic director of the ICCo (Instituto de Cultura Contemporânea) in São Paulo, who came to visit our first forum in Gwangju, and to curator Charles Esche, who vowed to make it happen in Brazil. There were other places to take the forum, but I felt it was important to cross the globe (from east to west) like this. Our first forum was especially geared towards biennial organisers; it was a place for them to discuss common objectives for biennial institutions and their function in society as well as to forger stronger professional alliances. With our second forum, How to Make Biennials in Contemporary Times, we are not only addressing biennials as institutions but also aim to include ‘new’ voices of curators and researchers in order to discuss the changes and uncertainties in today’s biennial landscape. 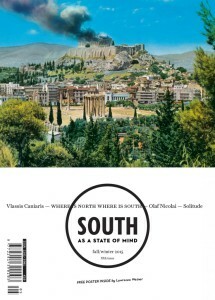 The focus on the South is a curatorial decision. I believe we regard ‘South’, as you do, as a relation or direction rather than as a location or place on Earth. Galit can elaborate more on this. Galit Eilat: The World Biennial Forum 2 is an opportunity to focus on southern biennials and their context in relationship to the wider history of biennials. In Brazil itself there are at least four biennials, and around South America a new one pops up almost every year. Some of them survive, and some, after a few editions, don’t. This year, the Bahia Biennial was reinstated after a forty-year hiatus. During the forum, we would like to look at biennials from the point of view of the southern hemisphere. From here, we observe, for instance, another socialist history of biennials in the 1970s that has been largely ignored. Mainly, however, the focus will be on recent biennials in Dakar, Istanbul, Jakarta and São Paulo. Other southern biennials will come into the picture too, so that we can gain a better understanding of and analyse the cooperation between biennials and their different contexts throughout the global South. The four focus cities have been staging biennials in different forms over the past twenty years. During this period, they have invented new traditions and created suitable structures to support and develop them. At a time when the relationship between artistic desire and political will is under negotiation and when biennials are seen both as opportunities for harvesting cultural capital and threats to the smooth operation of the status quo, these biennials will serve as the anchor points for a more general discussion about the potential of contemporary biennials. It would be good to imagine that such a forum and its discussion could also influence the terms under which northern or hegemonic state biennials are understood. MF: Defining what biennials are is not of such great importance in the first place. Definitions are just a beginning and are being constantly transformed. What is a museum? What is an art centre? Etcetera. It is more interesting to find out how the encounter between the place, the art and the people for a finite period can be beneficial for all parties at the time of the biennial and beyond. Can the hype of a large-scale visual-art event benefit other areas beyond the market economy? And if so, what are those areas, and how do they benefit? Marieke van Hal: We can look at biennials both in terms of their respective iterations and as the sum of separate, consecutive ephemeral events. To answer your question, I believe it’s important to look at the bigger picture. What are the legacies of biennials? Many have been struggling for freedom of expression, for the right to voice critical, creative and alternative claims. Think of the biennials of Havana, Gwangju and Johannesburg (now defunct), to mention a few well-known ones. The recent resignation of Yongwoo Lee, co-founder of the Gwangju Biennale, was significant, an act of protest against the curbing of an artist’s voice. Anthony Gardner, who will participate in our forum, and Charles Green are currently researching biennials of the global South. Their findings show that many ‘peripheral’ biennials don’t sit comfortably within the stereotype of biennials as a neoliberal symptom. “It was often a socialist, or at least socialist-inspired internationalism that subtended their rhetoric and objects,” they write. Biennial studies have only just begun. Galit Eilat: It is hard to think about biennials without considering how they influence the market and, conversely, how the market influences the biennials. The art market is not a bad thing, and it was, and still can be, important to the development of public art structures through encouraging private interest. If we consider the global South, we see that biennials without the support of the private sector would struggle to survive. Brazil has an unusual situation in which public money is distributed by the private sector, for instance. In many other southern countries, there is almost no public or governmental support for art initiatives in general; without private support, many museums, art centres or biennials would not exist in places such as Lebanon, Turkey or Egypt. The problem is not to do with the support offered by the market economy or sponsors; it is what a biennial promises its sponsors in return: how much funder visibility and (mis)use of the exhibition space takes place, for instance; how much control donors have over content; how exclusive the events need to be. I believe that the expectations of sponsors are reducing the curatorial room for manoeuver at a biennale, and this is reflected by the recent artist protests. I think there are two main reasons for this. The first, and the most important one, is the relation between symbolic value and market value. Until ten years ago, market value grew in relation to an artwork’s symbolic value. It meant, in general, that a work’s presentation in museum exhibitions and references to it in academic and art-press writing – in short, a work’s overall visibility – determined the market value. But, in the last few years, we have seen a separation of these two forms of value except in a very few international museums and biennials. Market value has largely replaced symbolic value, and a higher market value is derived more from within the commercial circuit itself. The significance of art works is judged not by the way they are read but by the way they sold, by the process of their acquisition, while the slower accretion of symbolic value (too slow for the market?) goes on in a separate forum. The second reason is in relation to the first, but is more indirect. The demand for more, better, faster biennials means the hunt for sponsors becomes more desperate and decreases the organisers’ capacity to negotiate what will be given in return. Certain aspects of artistic ownership are being negotiated without the artists’ or curators’ approval: logos mysteriously appear; extravagant parties are thrown, excluding all but the sponsors and their clients. Such activities have a direct influence on the narrative and the content of a biennial (or a museum) for the ‘mere’ general public in whose name the activity is organised. The public interest becomes secondary and the artistic or curatorial narrative is subjugated to financial control and dominated by social exclusion. MF: I was reading a statement by Charles Esche in a recent feature for the São Paolo Biennial: “We need to use the elite biennial to give a platform for those communities.” Is the biennial a step? In whichever direction? Or is it an excuse? A hijack for the good cause? Or an insider’s joke? Galit Eilat: One only has to look at the history of the São Paulo Biennial. In 1951, the biennial was founded in the wake of European immigration, in order to bring Western culture to Latin America and to insinuate Brazilian artists into the European art system. More then sixty years later, the board of the biennial has essentially the same aims, even if the rhetoric is different. The gap between rich and poor here has only shifted slightly, and the relation between the masses and the elite is basically one of charity. What I mean is that the public is expected to behave in ways that are controlled and sanctioned by the elite. The biennial is a gift given by those with money. And the reaction of the public ought to be one of gratitude. It is true that in recent years a lot has been done. Entrance to the biennial and educational activities are free and open to everyone, and visitors can come as many times as they want to see the exhibition or attend a guided tour and symposiums. Yet the educational activity emphasises the extraordinariness of the visiting experience: it is a once-every-two-years exception to daily life. I fear that the size and scale of the biennial produce a feeling of awe, maybe even of enervation, rather than acting as a call to action. Also, for many São Paulo citizens, free entry is not enough. The Ciccillo Matarazzo Pavilion is not easy to access with public transport, and the bus ticket is not affordable for everyone, especially for the communities who live in the city’s peripheries. You may remember that one of the triggers for last winter’s protests was that the government imposed an increase of twenty cents on bus fares. Transport is a completely politicised issue here, and the biennial creates conditions of exclusion that are to some extent beyond its control. As curators, we tried to mitigate some of this, but we could only ever be partially successful. We tried to work more closely with the 200 educators, although there were difficulties in overcoming internal hierarchies that were already in place. We tried to offer agency to cultural activities in the periphery though twice-weekly ‘Saraus’, where people from poorer communities and the indigenous people of the São Paulo region could express themselves directly to the public. We worked with a number of Brazilian artists who are directly concerned with education, transport and social control and sometimes introduced them to international artists who we felt might be compatible. These were our ways of giving voice to communities other than the elite, but it would ideally need to go further next time. MF: In his book Factories of Knowledge, Industries of Creativity, Gerald Raunig describes beautifully the condition of assembly and the act of reterritorialisation as a temporary concentration that does not oppose dispersion but rather supplements it. He implies that the key question in this situation is how to mutually interweave the fabrication of smooth and streaking spaces. Can you relate this notion to the São Paolo Biennial or the World Biennial Forum 2? Galit Eilat: I think I have partly answered that. The São Paulo Biennial is considered to be the most important one in South America. In this biennial we have tried to make use of this reputation to create a platform for a society here that is (hopefully) in transition. We saw ourselves as trying to institute ways of being (to use another Raunig concept) in the biennial that could create different patterns of occupation. We tried to work horizontally as a curatorial group, and we organised a curatorial toolbox workshop that aims to pass our experiences onto a younger generation. We tried to address issues such as gender, religion, rights to the city and rights to abortion within a Latin American context, so that there could be a widening of the reference points available in Brazil rather than a constant attempt to apply US or European models – or simply to declare a Brazilian exceptionalism. These could be seen as modest attempts at the reterritorialisation of the Brazilian national narrative. I like to think some of that was sustainable, not simply temporary, but it is up to others here to pick up the gauntlet. The World Biennial Forum 2 is more an attempt to construct new exhibition histories that allow the voice of the South to be heard. 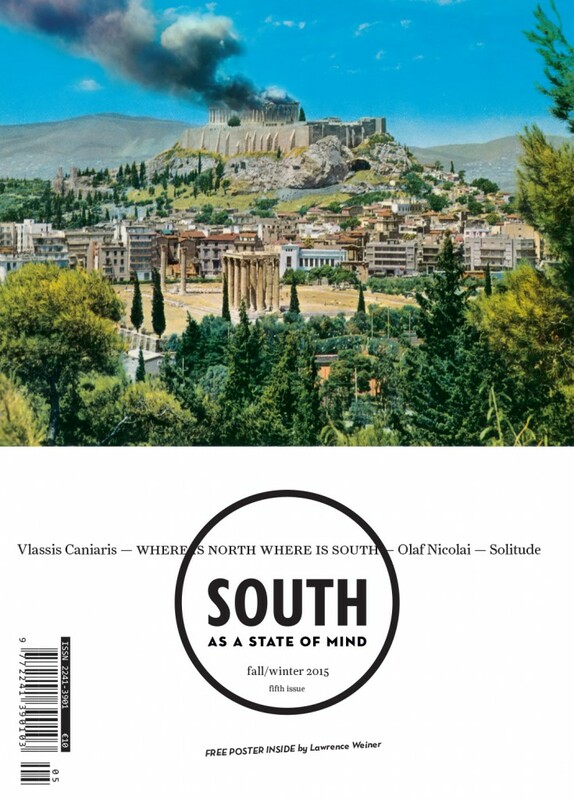 This interview is published in: ‘South as a State of Mind’, fall/winter 2015, fifth issue.